The Comment Section • View topic - The police are human, and the majority are good people too. Board index ‹ Stuff ‹ Current Affairs and Serious Stuff ‹ The police are human, and the majority are good people too. The police are human, and the majority are good people too. I decided to make this thread in order to counter all the negativity (on the news in general) made towards law enforcement by showing some of the good things, so that we do not simply think about the bad. In this thread if you have any good stories about the police who work day and night to serve and protect our community, feel free to share them. According to Roby, he was dispatched to a shoplifting complaint and when he arrived on scene he spoke with a loss prevention employee and found out that the suspect had been caught stealing baby formula. Further investigation revealed that the suspect had fallen on hard times and didn’t have enough money to buy formula for his 6-month-old son. Roby was told that the store didn’t want to press charges and Roby made a judgment call; he decided not to pursue the incident any further. Instead of arrest- ing the man, Roby bought him a few cans of formula and told him if he ever needed help to come to the police department, ask for help at any of the local churches or to utilize any of the county’s many resources available for those in need. A few days later London Police Department and the Sentinel-Echo received letters from a Kroger customer, Joyce Fouts. House said that he gets letters like Fouts’ thanking him for the things his officers do all the time. Roby said he doesn’t feel like he did anything special, adding that his fellow officers do similar things often. “I didn’t do anything that any one of us don’t do all the time,” Roby said. “It just usually doesn’t get seen. It happens a lot more than people realize. We’re not here to throw people in jail, we’re here to protect and serve the community. House said that Fouts’ letter complimenting Roby’s actions will be filed in his personnel file, adding that he couldn’t be more proud of the officers of London Police Department. 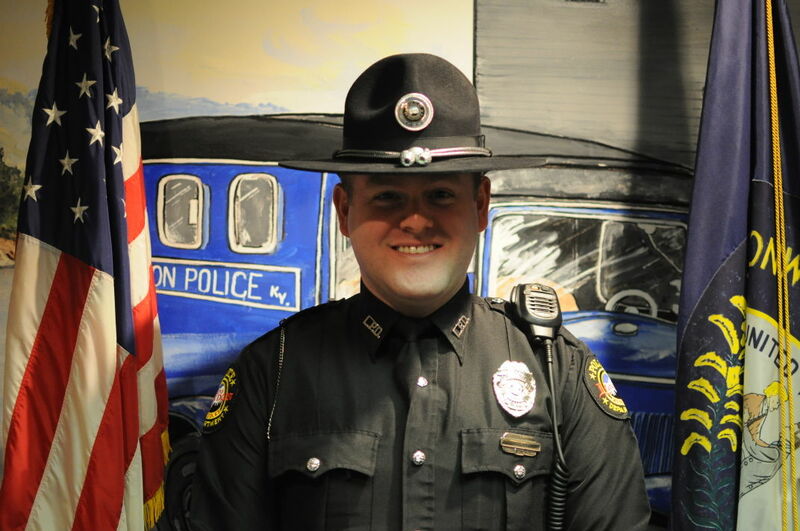 For the example above a police officer decided to not take action against a man caught shoplifting baby formula, instead buying him several bottles for his 6 month old child as he realized that the man was struggling to afford feeding him and attempted to steal out of desperation. While there might be nothing more terrible than a bad cop (bad doctor would be pretty crappy too I guess though), there is most likely nothing better than a good cop (or a good doctor). And good cops deserve just as much if not more publicity, for they are the ones we are most likely to meet. They do this job not expecting praise, heck even after all the angry publicity towards the police they still get up every morning to make this place safer regardless. Changing perceptions at least one person at the time. Really? I coulda sworn they were goats. Deathclaw_Puncher wrote: Really? I coulda sworn they were goats. 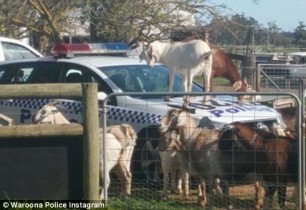 I wouldn't want to say that in public because goats and police have got a bad relationship, almost an age old rivalry. But enough sarcasm, I feel that sometimes mainstream society doesn't look at the police as being human (which allows many to dehumanize them, and contribute to this "them or us" mentality) and I just want to make sure I emphasize that they are. DoglovingJim wrote: In this thread if you have any good stories about the police who work day and night to serve and protect our community, feel free to share them. Cole packed up his Superman and Iron Man costumes into his Dodge Charger, which is customized with the Superman logo, and decided to make a special trip on April 15. "If I can make that little kid's day, I don't care if I have to drive to New York or Maine or Seattle,'' Cole said. "Why not do it? I'm not rich, I'm not famous, but kids light up when they see me in the car and the costume." The boy and his family were blown away as Cole surprised Bryce by showing up in his Superman costume, letting him check out his Superman ride, and giving him a key chain and a spare cape that Bryce wore during the entire visit. The two played video games and Hot Wheels together, and at one point Cole helped comfort Bryce after he got sick because of his treatments. Reading about this guy made me so happy that I actually wrote about him in an article for Listverse. For me he's a heartwarming reminder of how good cops and people in general can be. I mean, it's not hard to find examples of officers doing laudatory things. The above is the first page worth of search results for "police officer saves"; according to Google there are 1,350,000 more. And that's just what gets reported in the media, which is notoriously biased toward negative stories as a general rule. 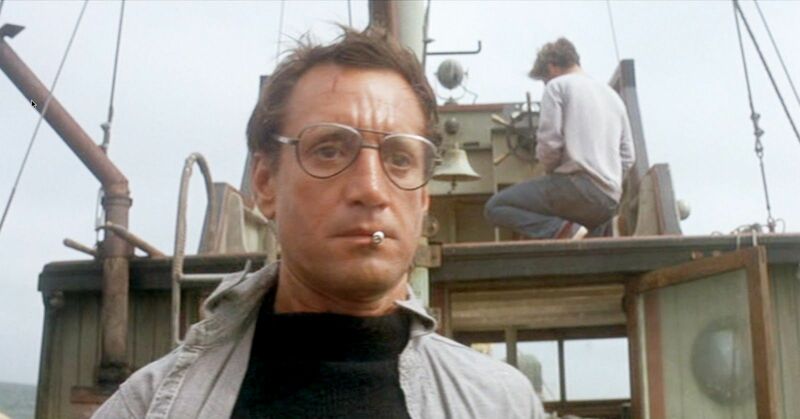 So if you really want to catalogue all the times officers do something good, you're going to need a bigger thread. Of course, this isn't unique to cops in any sense, it's simply a reflection of the fact that police officers are people and people are generally decent. The problem has never been that cops are just plain bad people. The problem, at least in large part, is that people (including decent people) get sloppy when they're not held accountable for what they do, and in many cases American police are not held suitably accountable for mistakes that get an innocent person killed or maimed. Last night I got lost so I took an illegal U-turn and then took an illegal right turn at a dumb New York intersection that defied logic. I got pulled over by the cops. They let me off with a warning. So the cops truly are heroes. Tesseracts wrote: Last night I got lost so I took an illegal U-turn and then took an illegal right turn at a dumb New York intersection that defied logic. I got pulled over by the cops. They let me off with a warning. So the cops truly are heroes. Don't be fooled; if you were black they would have ritually sacrificed you to Steve Bannon. I'm sure that most police officers mean well. Most people mean well, and a lot of people join the police because they want to help their fellow citizens. I've had generally good interactions with police officers abroad, and police extricated me from situations in Greece and Canada which had me on the brink of hysteria. The majority of my interactions with police in the US have been me getting pulled over or my parents getting pulled over and let off with a warning or doing paperwork, interactions I'd describe as mildly unpleasant but not in the least bit the officers' fault, it's merely that such interactions are inherently unpleasant. 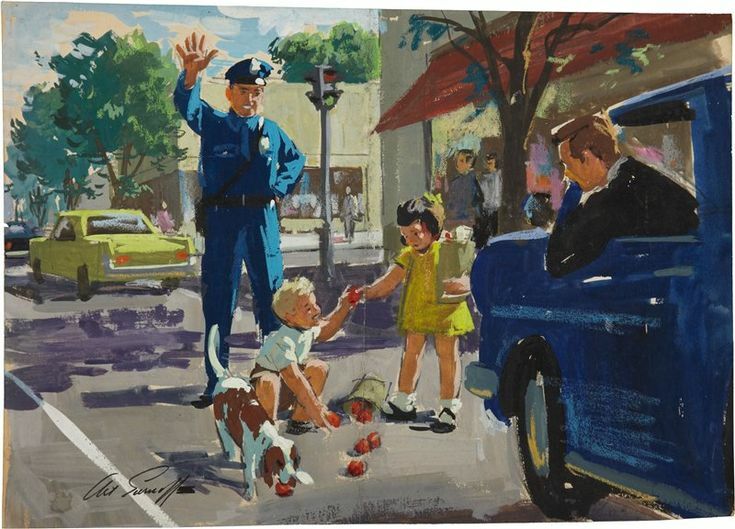 However my experience with police in the US has been heavily colored by four experiences my family had with the police in small towns near where I grew up. Each of these experiences, I believe, demonstrates an inherent problem with how policing is conducted in the US. In the incident that happened to me the officer was blameless, but the three stories which involved the other members of my immediate family involve what is at best questionable judgment and at worst malfeasance by the police officers involved. The one I involved personally was me getting pulled over on a Saturday evening at an infamous speed trap in Vermont, which took advantage of the fact that in Vermont school zones apply 24-7. It wasn't her fault that her department set ticket quotas, and when I called her later and begged her to dismiss it she did, however the fact that officers in Vermont and may parts of the country have such quotas is deeply problematic. More problematic still is that laws in the US are unpredictable and so numerous that a police officer can always find something to pull you over or arrest you for some rarely-enforced law if they so desire. This latter point is an issue in my first strongly negative experience with police as well. My father was driving me to middle school, and already late as he tended to be. At a four-way intersection, he may have cut off a state trooper in an unmarked vehicle. I say "may have," because the officer didn't ticket him for failure to yield but for a rolling stop, a law that is almost never enforced. He displayed extreme annoyance at my father, and when my father said I was late for school he took forty-five minutes to issue his ticket, clearly supposed to he a punitive measure because I've never otherwise been in a stop longer than twenty minutes. This incident also displays how easy it is for police officers to punish people who annoy them without consequence. The third incident involves an accident my mother had one town over. She had pulled into an intersection to make a left turn, and when the light turned yellow started to turn. A truck then appeared and ran the yellow, ramming into her. The truck driver was a relation of the local chief of police. I was in the car and there was an uninvolved witness who came forward, however the police didn't interview her and my mother was found at fault since she was making a left turn. This demonstrates the sort of petty corruption that many small police departments engage in. The final incident involves my brother, and since I wasn't there I'm relying on his account, though I can confirm that my brother has never exceeded the posted speed limit in his life. According to him, a car was passing him near a speed trap on the highway A cop turned on his lights, and my brother slowed down but didn't stop as the cop passed him rather quickly. He then resumed driving as passed the cop who'd pulled over the guy who passed him. The cop pulled out and pulled my brother over apparently annoyed that he hadn't fully stopped, and it didn't help that my brother was a teenager. He cited my brother for the speed he'd clocked the other guy at, and the judge believed the cop. This demonstrates three issues: the way police feel they're owed respect, the tendency of police to judge groups such as teenagers, and the presumption that a police officer is always telling the truth. I believe that the majority of police mean well, but as you note, the police are human. Yet in the US, we treat them as if they are superhuman. There is little oversight and the majority of Americans react incredibly negatively to any criticism or calls for accountability, as indeed you are doing with this thread. Additionally, police departments tend to look after their own even in the cases of the most egregious malfeasance and punish severely officers who try to hold the "bad apples" to accountability. The defenders of the police love to talk about how most of the problems with the police are the result of behavior of a few bad apples. But the saying actually goes "one bad apple spoils the bunch," which is quite apt. When one police officer behaves in a reckless, vindictive, or abusive manner, and their superiors allow and even defend it, then the whole department is a problem, regardless of the individual intentions of the majority of members. cmsellers wrote: There is little oversight and the majority of Americans react incredibly negatively to any criticism or calls for accountability, as indeed you are doing with this thread. Why do you say that? The thread seems pretty positive. It may have arisen from a negative reaction, but channeling negative feelings into constructive action to fix the problem is no bad thing. When I think about it, I probably overstated the case when I said the majority of Americans. The majority of Americans do approve of the police, but channeling criticism of the police into constructive action is what Black Lives Matter does, and they have a positive net favorability rating. It's likely just that it seems like the unconditional defenders of the police make up a majority, because they tend to be very loud. Still, I feel like Jim is missing the point. If you have a bad doctor you can get a second opinion or switch doctors entirely. Doctors can be held personally accountable by civil suits. If you leave a doctor a bad Yelp review they cannot arrest you in the way LEO's such as Joe Arpaio have done to their critics. These a just a few of the reasons that it is imperative that bad police officers be gotten rid of. Unfortunately, police departments, police unions, and the culture of admiration for the police make this difficult. There are a lot of lawyers who do excellent work for the good of the public. A bad lawyer can take advantage of obscure laws to ruin your life financially, though not a thoroughly as a bad police officer can. However Americans tend to be highly critical of lawyers, and rather than get offended that they don't get the respect they feel they deserve, every lawyer I've met has had a sense of humor about the issue. So frankly, when it comes to the police, who are even more dangerous than lawyers, I would rather that we were less deferential than we are. I like the police. My interactions with them have been fairly negative, and there are certainly bad apples and issues there. They might pull people over for stupid reasons like going 36 in a 35, but they also pull people over for for good reasons like reckless driving and drunk driving. They talk people down from suicide. They help rescue people after emergencies. They arrest very bad people who do very bad things. One thing I think we overlook is that every time there's a news article about some wanted criminal getting caught, or some violent person being stopped, or some investigation leading to an important gangster being taken down, it's the police that did it. The criminal didn't just appear in court. The evidence didn't just appear in front of the judge. Police men and women worked hard in all those news stories to bring the bad guys to justice. We just don't always think about that, because it happens so often that it's not news. "Police team arrests group of law breakers" isn't interesting, because that's what police do, and usually they do a really good job. If you go out right now and find a cop and ask them for help, unless it's something totally unbelievable or not at all relevant to police work, they'll help you. If you're lost, they'll help you find your way. If you were robbed, they'll try to help you find the thief, unless that's not possible, in which case they'll help you figure out what to do next, and how to do it. If you're in danger, they'll protect you. There are dozens of countries out there, including many ostensibly "first world" countries, where the cops won't lift a finger for you if you don't pay them out of your own pocket. There are also dozens of countries out there where the cops are working hand-in-hand with drug cartels, or organized crime rings. Not like the little group of bad cops we get here, but the entire force, across the whole country. Our police are far from perfect, and no one in their right mind can honestly claim all cops are good, but in general, our police are honest, loyal, and brave, and we'd be a damn sight worse off without them. cmsellers wrote: Still, I feel like Jim is missing the point. If you have a bad doctor you can get a second opinion or switch doctors entirely. Doctors can be held personally accountable by civil suits. If you leave a doctor a bad Yelp review they cannot arrest you in the way LEO's such as Joe Arpaio have done to their critics. These a just a few of the reasons that it is imperative that bad police officers be gotten rid of. Unfortunately, police departments, police unions, and the culture of admiration for the police make this difficult. Is it possible that you missed Jim's point? I don't want to speak for Jim, but I didn't think his point was that people shouldn't criticize cops. Regardless, highlighting cops' positive accomplishments isn't the same as shielding the bad ones from scorn. I see how people could and do try to use good acts to drown out criticism, but I don't believe the mere act of showing appreciation for laudable things officers do is necessarily aimed at doing that. That's not to say you didn't raise valid points. You did, and I believe that there are many people who validly criticize law enforcement in insightful ways. I criticize police when I think there's a good reason to. But I think there are also people who vilify police officers regardless of whether there's evidence that supports doing so. I'm fine with fact-backed attacks. I'm not fine with unfounded accusations. So frankly, when it comes to the police, who are even more dangerous than lawyers, I would rather that we were less deferential than we are. If there was a thread about good things lawyers have done, would you interpret it as "missing the point" about misdeeds by the bad ones? don't, I repeat, don't accept this as complicity. Crimson847 wrote: Of course, this isn't unique to cops in any sense, it's simply a reflection of the fact that police officers are people and people are generally decent. Fun With Mr. Fudge wrote: Is it possible that you missed Jim's point? I don't want to speak for Jim, but I didn't think his point was that people shouldn't criticize cops. Regardless, highlighting cops' positive accomplishments isn't the same as shielding the bad ones from scorn. I see how people could and do try to use good acts to drown out criticism, but I don't believe the mere act of showing appreciation for laudable things officers do is necessarily aimed at doing that. It's possible. I tend to interpret everything political people on TCS tend to say through the lens of American politics and Jim is Australian. Australia is culturally closer to the US than Canada is but I don't know if Australia has the same cultural relationship with the police that we do. However in the US, when someone says that the majority of police are good people, it's usually an attempt to steer the conversation away with problems with the police. Given that Jim's thread was apparently in reaction to another thread about bad things police do, I interpreted it through the lens of American political discourse. Fun With Mr. Fudge wrote: If there was a thread about good things lawyers have done, would you interpret it as "missing the point" about misdeeds by the bad ones? If the thread was titled "Lawyers are human, and the majority are good people too," and came after a thread about the bad things lawyers do, probably.